Having concerns about the safety of one’s health while cleaning can be a daunting task. After all, in some instances a serious threat to one’s health doesn’t always exist in a dirty and dusty environment. Yet in times when one feels insecure about the environment and potential health threats. Having facts to support questions and concerns help. So, should you wear gloves or not, when cleaning? Research provided by the United States Department of Labor Occupational Safety and Health Administration, conveys in a report entitled-Personal Protective Equipment Assessment, rules and procedures commercial cleaning operators should follow to protect themselves from germs and commercial cleaning chemicals. Thus, wearing gloves are highly recommended as safe precautionary step to preventing workplace hazards that can be costly to the business and personnel. A great reason why it’s important to conduct effective research that provides clear answers. Maintaining a clean green business environment, requires utilizing FDA approved products that helps reduce the spread of germs and lowers the growth of bacteria. For more than, 20 years, Allen Maintenance Corporation, has relied on effective cleaning products that help kill germs, bacteria, and viruses. Utilizing clean green products, (e.g. Damp Mop & NABC), are two effective germ fighting defenses that protects business environments from being plague by filth. After all, today’s germs, bacteria, and viruses, are developing defenses that are learning how to defeat some of today’s cleaning products. Thus, it’s important to rely on products that enable, your business to maintain control over the spread of these pathogens. This video developed by the ISSA-Worldwide Cleaning Association, which, Allen Maintenance Corporation is an active member of, shares an educational clip that shares details about Green Cleaning. To work with a commercial cleaning service provider that utilizes Green Cleaning products; choosing, Allen Maintenance Corporation, will be the best choice, your business can make. The growing use of back pack vacuums, has returned, and it’s important to understand how to effectively clean this dirt carrier. After all, back pack vacuums, harbor germs and bacteria that can impact air flow, as dirt and germs are picked up during services. Using back pack vacuums reduces the need for vacuum bag replacements. This also helps cut cost tremendously in commercial environments. However, maintaining effective cleaning methods, is important. Allen Maintenance Corporation works closely with, Orange Theory Fitness, and utilizes back pack vacuums, as a method to help this business reduce vacuum bag replacement cost. However, it is imperative that these vacuums are cleaned after ever use. Thus, emptying the heavy duty vacuum filters, by removing them and emptying content, can help lower the spread of germs. Daily use of back pack vacuums, is a great way to maintain control over the wide spread of germs on floors, high, hard to reach areas, and wall edges, (e.g. corners and cervices). Allen Maintenance Corporation recommends using a wet warm towel, to wipe down back pack vacuums. Doing so helps lower the spread of external germs that cling to the external components of these cleaning tools. While disinfectants are developed to help control the spread of germs and bacteria. Germs and bacteria have developed the ability to out think disinfectants. In fact, research conducted by McGill University Office of Science and Society reports that some bacteria have grown resistant to FDA approved disinfectants. This can be a health concern for commercial businesses that have high traffic levels. After all, according to the research study, even though commercial cleaners are recommended to utilize microfiber cleaning cloths to help reduce the spread of germs and bacteria, along with approved germ and bacteria fighting disinfectants that control the spread of pathogens. These recommendations are becoming null to some bacteria and germ growth. Alarming as this sounds, its time, commercial businesses increase the amount of time commercial cleaning practices and procedures are implemented. Doing so can not only cut down the spread of germs and bacteria that can create health hazards for commercial environments. Implementing stringent cleaning methodologies, reduces the need to purchase more cleaning supplies. This is why Allen Maintenance Corporation maintains a firm belief in relying on industry regulated cleaning supplies that not only reduce the spread of germs and bacteria. But cuts down the ability of germs to out think disinfectants. For example, the pathogen Acinetobacter, has been proven to be a strong pathogen learning how to out think disinfectants. This pathogen is often discovered in health environments, and continues to rage war against the use of FDA approved products. Thus, it’s a daunting task for health environments to begin considering turning to a professional commercial cleaning service provider, who can implement stringent cleaning procedures that defeats germs and bacteria on contact. To learn more about Acinetobacter, log on to https://www.ncbi.nlm.nih.gov/pmc/articles/PMC2493088/ To take advantage of the services offered by Allen Maintenance Corporation, contact their office, Monday-Friday 9am-3pm at 313-383-4840. The sight of snow covered grounds can be daunting for business. After all, the number of face-to-face visitors diminish. While tracks of snow and salt pile in the front door. This can be hazardous to business. Thus, it’s imperative to maintain a professional attitude about the appearance of businesses front entrances. After all, the gateway to any business environment, is what consumers encounter first. Allen Maintenance Corporation has prided its winter cleaning services, on helping businesses avoid being victim, to winter accidents and potential law suits. After all, a slip and fall can cost tremendously. Thus, keeping front entrances clear of wetness and salt trails, is key to winning the war against, winter storm business blues. Of course, there are concerns about the impact salt can have on granite, wood, and carpeted floors. Working with a professional building maintenance and commercial cleaning service provider, who understands how to effectively combat floor damage, can give, your business the leverage it needs, in this weather. Allen Maintenance Corporation remains ahead of the game, in building maintenance and commercial cleaning, by adhering to industry standards, and those established by the ISSA-Worldwide Cleaning Association.Therefore, to relieve, your concerns about winning the war against winter storm blues; contacting Allen Maintenance Corporation, may help end your woes. Otherwise, the fees, you’ll pay fighting a slip and fall, would be much greater. Thus, Metro Detroit businesses can call 313-383-4840, to learn about the services offered by Allen Maintenance Corporation. The recent closure of local Metro Detroit businesses due to noncompliance to health regulations; it’s time local Metro Detroit businesses begin partnering with a reliable commercial cleaning service provider. After all, the health department has already shut down several businesses operating in Wayne, Oakland, Livingston, Macomb , Monroe, and Southwestern Michigan areas. Having a business close due to building violations or health issues, managed by the State health department, can ruin the reputation of the business. 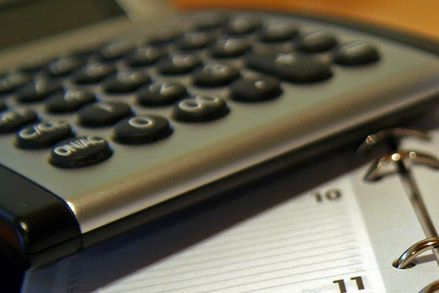 This can also increase the cost of commercial business insurance. Thus, taking an active role to establish a business alliance with a reliable, trusted, service provider, who earned an A+ rating with the Better Business Bureau, can help manage the sanitation needs of your business. Allen Maintenance Corporation adheres to the Food and Drug Administration and utilizes FDA approved products that combats the spread of germs, and kills the FLU virus. Neglecting to build a partnership with a building maintenance and commercial cleaning service provider, can be costly. Learn how, Allen Maintenance Corporation, can help reduce increased insurance cost, and diminish the spread of germs spreading in your office. Otherwise, the consequences can be costly. Let’s face it, managing restroom odors is a daunting task. After all, throughout the day, each employee utilizes the restroom at least three times. During those times, the restroom becomes saturated with body odors, colognes, perfume, body fluids, and body waste. So much, even the installed pre-timed air freshener positioned over the restroom door, doesn’t always provide the best odor defense. But quite often, those lingering odors are not a culmination of body smells, but a back-up of plumbing spoilage. After all, many business offices rarely pay attention to the need to utilize drain and pipe cleaning solutions that help eroding waste flush properly through the drainage system. Thus, Allen Maintenance Corporation, strongly recommends utilizing a drain and pipe cleaning solution that can help lower the rising odors that build-up in restrooms. And if all else fails, pick up the phone and dial 313.383.4840, Monday-Friday 9am-3pm; and Allen Maintenance Corporation, will do its best to help combat the issue. Have you ever noticed the build-up of dirt on the floor of your office restroom? Have you noticed the finger prints on the windows, or the mirrors? Have you ever raised the toilet seat in your work office? Too often, office personnel ignores the small germ issues compiling around the office. However, doing so can create bigger problems. After all, germs can develop into infectious bacteria and viruses. Ignoring these signs is harmful to the health of the business environment. So why do business owners neglect to take heed to recommendations from CDC or Government agencies that suggest implementing effective cleaning procedures? It’s time to make changes to the way, your office takes notice of combating germs and bacteria. Allen Maintenance Corporation would like to help, your business strategies methodologies to eliminate germs and bacteria on surfaces commonly utilized throughout the office daily. Therefore, take charge, and become a change agent. Connect with Allen Maintenance Corporation, and get rid of those germs and bacteria, before, they take over your office. Interestingly, a research study published in the Applied Microbiology Journal, reported that wall mounted hand soap dispensers can be agents for bacteria hibernation and dissemination. In fact, the research study conducted at a local elementary school, included 25 participants, who showed an increase level of bacteria, after continued use of the wall mounted hand soap dispenser. The study conveys that bacteria on commonly used surfaces such as wall mounted hand soap dispensers, can be a haven for bacteria sharing. This is an alarming fact that requires on-going research. After all, wall mounted hand soap dispensers, have a long standing history of being instrumental in combating the spread of germs. However, seemingly, wall mounted hand soap dispensers that embody sealed liquid soap packages are safer and best reliable. Whereas, traditional wall mounted hand soap dispensers filled daily or every other day, can become havens for bacteria collection, and cause an alarming out break of bacteria infections. Therefore, Allen Maintenance Corporation, recommends utilizing wall mounted hand soap dispensers that are changeable, and easy to care for. Installing these products are efficient and protects hand soap users from being victimized by bacteria spreading germs. Let’s face it, unless you possess effective building maintenance and commercial cleaning expertise; it can be quite challenging to stamp out the spread of germs in your business environment. After all, doing so requires working with a team of experts, who knows just how to get the job done. That’s why, Allen Maintenance Corporation exists-to get the job done! Utilizing federal approved products in commercial environments, is the best methodology to combating the spread of germs. After all, using EPA approved products can lower the spread of deadly germs, and cut increased cost of health insurance in the work place. A goal all businesses should thrive for. In fact, the ISSA- Worldwide Cleaning Association recommends using a professional cleaning service provider, if your business operates with more than 2 employees. Maintaining control over the spread of germs is vital, especially during flu season. To learn more, please watch the video presentation published by the ISSA- Worldwide Cleaning Association. Operating a business can be hectic. But operating a business in an unhealthy environment, makes matters worse. Luckily, Allen Maintenance Corporation makes unhealthy work environments healthy, with professionalism and expert skills. With an A+ Better Business Bureau rating, Allen Maintenance Corporation, thrives to adhere to industry related quality control integrity. After all, Allen Maintenance Corporation has invested, 30-years, building firm business relationships with corporations in the Metro Detroit area. Our mission is to provide local area businesses and corporations, with quality building maintenance and commercial cleaning services unlike others. Services deeply rooted in trust and integrity. In today’s building maintenance and commercial cleaning industry, ineffective communication skills continues impacting the level of clarity needed, to assure client’s, their work will be achieved professionally, each and every time. This key factor requires better employee training skills. In fact, when employees are better prepared to communicate with clients in the field, business is conducted with ease. One key element, Allen Maintenance Corporation, hopes to combat, is defining an effective methodology to improving how their employees communicate with current and future clients. After all, most clients lack clarity on the services, they need to improve their work environments. Even more troubling, is hiring employees who lack effective communication skills. To help improve this problem, Allen Maintenance Corporation, will implement better hiring practices, that enables them the opportunity to speak with new hires, and determine the level of communication skills, each new hire possesses. In doing so, both Allen Maintenance Corporation and its clients, can rest assure, services will be rendered with a professional attitude, and cordial speaking tones, in professional work environments. This new approach, will take time to implement. But, Allen Maintenance Corporation, has built its reputation on quality assurance. Furthermore, it’s just as important to bring to mind, the value of building brand resonance. In doing so, clients can feel comfortable sharing details with others, about the services, they receive from, Allen Maintenance Corporation. And, Allen Maintenance Corporation, can continue resting assured, they are serving all clients with professionalism. Let’s face it, operating a business is hectic and requires multi-tasking skills. Then when you consider the attack of germs and spread of bacteria; having a team to help combat these issues, helps tremendously. After all, just spraying disinfectant doesn’t always do the job. Allen Maintenance Corporation thrives to maintain its professionalism. 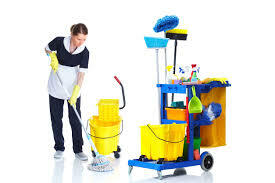 In doing so, clients can rest assure, they are acquiring services from a business partner, who takes cleaning serious. So serious, Allen Maintenance Corporation, believes in adhering to industry standards. The very reason why, they maintain their A+ rating with the Better Business Bureau. Having an office without a cleaning staff isn’t professional. After all, germs begin to build and impact the cleanliness of active environments, on contact. With clients, in and out, each person drops off some degree of germs that build upon the germs left behind , by someone before. To help combat this growth and spread of germs, Allen Maintenance Corporation, utilizes FDA approved cleaning products, as a precaution to combating the spread of deadly bacteria and sickness causing germs. 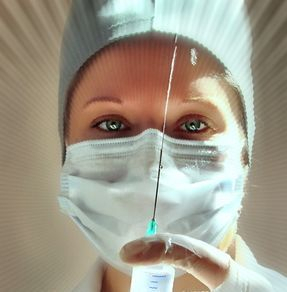 So in the future, when you seek to connect with a professional cleaning staff that takes pride in protecting your office from the spread of germs and disease, call Allen Maintenance Corporation, at 313.383.4840; and find out how, we can help. Office hours are Monday-Friday 9am-3pm. The United States Occupational Standards and Health Plan (e.g. OSHA) established standards industries should comply with regarding commercial cleaning requirements. Below are links to various OSHA Websites and others’ alike, that provide commercial cleaning standards. Please take time to investigate, your business industry commercial cleaning requirements. Allen Maintenance Corporation works effectively with all industries to provide industry related commercial cleaning. Commercial cleaning and building maintenance in 2018, will be provided with more quality care. This year, Allen Maintenance Corporation is thriving to better understand the needs of their current clients’ and prospective clients. One of the key components to maintaining a strong business relationship is communication. Thus, Allen Maintenance Corporation is interested in learning more about what your business wants and/or needs from a quality commercial cleaning service provider. Providing clear and honest answers, will enable Allen Maintenance Corporation to better service your business or organization’s cleaning needs. After all, if your office provides services to more than 25 people a week, having a professional commercial cleaning service provider will help eliminate the spread of the Flu virus. The Flu virus can be spread from surfaces contaminated with germs from clients who touch door handles, water faucets, or toilet handles. Using EPA approved products daily can helps combat the spread of such germs. Allen Maintenance Corporation has been servicing clients on the Eastern District of Michigan, for more than 27 years. In 2018, Allen Maintenance Corporation would like to serve your business or organization. Our team of trained commercial cleaners, uphold a CIA Triad: Confidentiality, Integrity, and Accountability. In 2018, building a relationship with Allen Maintenance Corporation, will help make your organization or business a cleaner place to work, and a cleaner environment for your clients to visit. Contact Us today at 313.383.4840. And let’s begin preparing a schedule that fits your timeline and building maintenance and commercial cleaning budget. Contact Allen Maintenance Corporation today! When using employment history, studies convey that using employment background checks are limited to the details available. Most employment background checks provide limited details on where potential employees formerly were employed. Such reports also limit the details of how perspective employee character, absentee, and work-habits are. On the other hand, conducting housing history background reports also provides limited details. In fact, this report tends to provide details about the locations and all, addresses the potential employee had for the past five-years. Using housing reports aren’t necessarily instrumental in providing essential information that helps make a determining decision about employment. These are just a few details Allen Maintenance Corporation takes into consideration when hiring employees for their cleaning positions. Being aware of the characteristics each employee possesses, and knowing if an employee has had previous negative behavior, enables Allen Maintenance Corporation, to maintain low-level theft and property damage to client’s property when contracted to clean internally. Therefore, when determining how effective Allen Maintenance Corporation is about investigating its employees’ and protecting the assets of clients when Allen Maintenance Corporation employees are on client’s campus; rest assured, Allen Maintenance Corporation maintains a high-level, due diligence, to protect all client’s property. One of the daunting tasks associated with operating a regional commercial cleaning service, is finding the best electronic marketing platforms, to share information about the services, we provide. After all, regional commercial cleaning competition is fierce! Luckily, with time and effort, we’ve learned about some invaluable news sources, we’d like to share with you. In fact, just recently, a search query landed our electronic marketing specialist, on the contact page of Cleaning Business Today. This information source seeks business articles from regional commercial cleaning service providers. And lastly, we learned about Cleaning and Maintenance Management, who offers a digital magazine that includes a directory of cleaning and maintenance companies and classifieds. However, what I found most intriguing about this news source, is that it offers a forum for industry related discussions. As a commercial cleaning service provider operating in the Eastern District of Michigan, we are always interested in learning about electronic marketing platforms for commercial cleaning service providers. Having reliable news mediums to share and disseminate news through, about the services we offer, helps us connect with leads that build long-term business partnerships. Today, Allen Maintenance Corporation, provides quality commercial cleaning services to Top Tier corporations deeply rooted in Michigan, such as PepsiCo, LORD, and Bridgestone Fire Stone, to name a few. Therefore, without digital news sources, we would be limited to whom we share news with, about our services. If you are aware of additional digital commercial cleaning news mediums, please let us know, and we will continue to do the same. Understanding the importance of integrating commercial cleaning services in your business or organization’s daily operations requires professional training and awareness. Therefore, Allen Maintenance Corporation has provided a training video from the Worldwide Cleaning Industry Association (ISSA). To help reinforce the knowledge shared in this training video, a quick quiz has been designed. Please take a few moments to gain these important facts about commercial cleaning for your business or organization. And, contact Allen Maintenance Corporation, if you have questions or would like to begin learning how to build a partnership. 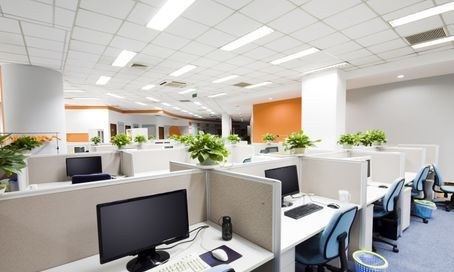 Determining how to effectively sanitize your business office takes serious consideration. After all, traffic is moving in and out rapidly every day; bringing with it-- germs and bacteria that can often carry viruses such as Influenza. Acting to safe guard your business environment should not be a headache. Instead, implementing effective cleaning procedures should be left up to a professional team of qualified commercial cleaners, who are trained and capable of rendering dependable services that gets results. For more than 25 years, Allen Maintenance Corporation has pride its commercial cleaning services on professionalism that meets the needs of every corporation, large or small, it collaborates with. Great reason joining forces with this Lincoln Park, MI. business in 2017 is important. After all, quality services rendered at economical rates, should not go unnoticed. Take action in 2017, and join forces with Allen Maintenance Corporation, and begin creating a germ and bacteria free work environment, your staff and customers can be pride of.